Malibu Pools is the first company in QLD to offer free pool servicing with every pool built! Malibu told us we would have a fully functioning pool within 6 weeks of contract sign/ground breakJ, and that is pretty much what happened. Everything went like clockwork, as one set of tradies was finishing (the dig), another set was ready for the next stage. Malibu were chasing us sometimes !! Very professional company, would recommend to anyone. I would like to state how extremely pleased Karla and I have been with every aspect of Malibu’s service; from the amazing precision of the digging through to superb craftsmanship of the tiling – and all trades work in between. An extra-special mention needs to go our excellent Site Manager Harley who has consistently gone above and beyond to ensure that all of our construction needs were met. I enthusiastically endorse Malibu Pools for their quality, craftsmanship and professionalism. Malibu Pools and spas offer amazing after sales service, in addition to beautiful pools! We had an issue with the pool cleaner purchased through Malibu, and the General Manager was in contact with us in mere hours, and arranged for someone to come and collect and replace it under warranty within a few days. The service we received completely exceeded our expectations! Highly recommended company. I entered into the purchase and installation of my pool with trepidation and skepticism, as I had heard horror stories from friends and family regarding the process of putting a pool in. After consulting a few different companies, my skepticism was validated. I almost gave up on the process until a colleague of mine recommended Malibu Pools to me, and at my last tether of dealing with cowboy salespeople I approached Malibu pools. My goodness. What a difference, and a breath of fresh air. From pillar to post, initial consultation, through to a courtesy follow up call from one of the friendly staff to see how we were enjoying the pool, the team at Malibu Pools were a complete delight to deal with and exceeded all our expectations at every step of the process. I simply cannot recommend these guys highly enough. We are absolutely delighted with our pool. The whole process with Malibu Pools has exceeded our expectations. We’d originally enquired with three pool companies – Malibu was the only company that got back to us quickly. One of the other companies didn’t even bother calling back. We ended up going with Malibu – and from the beginning, the experience was completely transparent and seamless – in fact, it was faultless. During the initial stages, we never felt pushed. Two weeks before the dig, someone from Malibu came out to go through everything and explain the process. Their communication is outstanding – we spoke every day. Whoever hires their tradesmen is getting it right – the whole team was fantastic. It wasn’t just the quality of their work – it was the nature of the people. They explained everything as they went and were friendly and approachable. I was impressed with the way they approached the dig – they were careful not to damage a retaining wall and the way they navigated a narrow escarpment to get to the pool area was fantastic. We’re grateful for the advice Malibu gave us in setting up the pool for ease of maintenance. We haven’t had a single issue. We love our pool and would highly recommend Malibu Pools to anyone who wants a high quality job and seamless project management. With Malibu Pools, everything was fantastic from start to finish. I contacted a number of pool companies, but Malibu Pools was the only company to call me back within a few hours. Some of the others didn’t even bother calling back – and one rang me 2 weeks later. I didn’t bother getting quotes from the others. A company that values your call shows professionalism. The customer service was great – a company representative came out and spent quite a bit of time working out our needs. I then received a really comprehensive package. Once I engaged them, they came out again to go through the contract – in fact, their communication was outstanding throughout the process – I’d call the office with a question, and within an hour or two would receive an answer. Malibu Pools was also flexible – I had a mate with a bobcat, so was keen to use him for the dig itself. This was no problem for Malibu – they were really accommodating. The build itself went smoothly and we now have a stunning pool that we’ve lived in throughout summer. If I had known it would be such a smooth process, I would have done it years ago. We had quite a large, complex project – a pool, retaining wall, large entertaining area, gazebo and landscaping. We researched extensively – attended the Pool and Spa Expo, asked around our contacts for recommendations. A work colleague recommended Malibu Pools who had used them in the past and said Malibu had a good reputation for paying their suppliers and subbies on time. That was the kind of company we wanted to deal with . We had a short list of pool companies, but in the end, Malibu Pools stood out. They were far more flexible and willing to work in with what we wanted . Nick Moore, their landscape architect, was very professional – he provided a draft plan and specification for us that was very detailed, as well as a 3D picture. Everything was more professional than their competition and their price was competitive. They’ve also been around for about 40 years – which impressed us . The most important thing for us however was the fact we could get the whole job done by one company….that made a big difference. In the end, we got exactly what we wanted. It’s an excellent result, and we’d recommend Malibu Pools to anyone wanting a reputable, ethical and flexible pool company who’ll do a professional job . We have just had our in ground pool completed and handed over by Malibu Pools. From our first concept meeting through to handover, the complete project has been handled with absolute professionalism and courtesy, ensuring we were kept up to date with each and every stage and the time frames involved. Our decision to engage Malibu Pools was made easy by Sean Lynch, who supplied a very detailed and professional quotation outlining every item to be included in the complete design. Our other quote was nowhere near the same detail and professional layout. We were introduced to Lee Folbigg on the first day of work commencement, as he was to be the project supervisor. Lee took on board our special needs for the purpose of having the pool installed and we are very grateful to him for his personal, courteous and professional approach. Lee had a very strong hands on approach and was involved in every aspect of every element ensuring a quality finish to each stage. This can only be achieved if you have a team of good trade’s people around you who have a common desire, and Malibu Pools does have that. Many thanks Lee. In the background of all of this, you need an excellent Administrations Manager, enter Karen. Karen is one of those people you love to have on the other end of the phone with the ability to be able to answer any question, or get the answer for you in an acceptable time frame. Her professional, caring approach and desire to achieve the best outcome to suit both parties was appreciated. The total quality finish of our Malibu Pool is to be recommended. We are just writing to thank your Malibu Pools team for the professional manner in which they completed our recent pool project. Your Estimator, Sean Lynch presented an incredibly professional quotation package which was not just for a pool, but for a concept to suit our backyard. None of your competitors even came close to this level of professionalism, which made the choice to use Malibu quite easy for us. 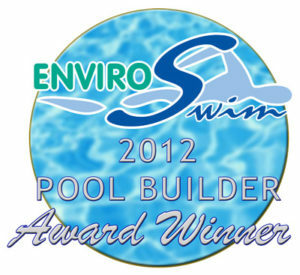 Your competitors wanted to provide a cheap pool package that suited their company structure, not our requirements. We felt incredibly uncomfortable with their McPool strategy and did not trust them to do a quality job. Once Sean had helped us finalise a design, the plans and council approvals were all handled efficiently, with very little input required from us. From this point on, your Project Manager, Lee Folbigg took control of the project and ensured that every step from the excavation to the pebbling was completed to his satisfaction and more importantly to our satisfaction. As it was the first pool project we had ever undertaken, his expertise and advice was very much appreciated and it ensured a great finished product. He didn’t treat our stupid questions with contempt – quite the opposite in fact. Rather than brushing them aside, he lined up previous Malibu projects that we could compare or alternatively he came out explained the options to us. This project has transformed both our backyard and our lifestyle. Not only have we got a beautiful pool, but now the whole backyard is functional. Thanks again and we wish your company every success in the future. When we first met with estimator and designer Sean Lynch, we really had no idea where to start with our pool design. Sean soon came up with an amazing overall concept for our pool and landscaping at a very reasonable price. The decision to build our pool with Malibu was not a hard one to make and I can confidently say from our first meeting with Sean through to final hand over with manager Lee Folbigg, this was an enjoyable, exciting and hassle free project. Sean and his team of men worked tirelessly to ensure our pool was constructed to the very best possible standard and within the time frame we were promised. Sean and Lee were contactable at all times and always very professional and helpful. From start to finish the project was hassle free thanks to Julieanne in the office was also extremely helpful regarding any queries we had along the way and was an absolute pleasure to deal with.We would have absolutely no hesitation in recommending Malibu Pools to anyone considering building a pool and would be only too happy to provide an oral reference if required. My association with Sean commenced in April 2007 when Malibu Pools was asked to quote for a new pool installation on a large renovation I was doing on my property at Raby Bay. Our pool builder/manager met us on site and discussed the quote in detail, ensuring any questions I had were answered to my satisfaction. What did impress me however that was during construction, he attended to any detail or questions I was wanting, regarding the construction. I also acknowledge that he was very flexible in his approach to the construction and any minor issues were dealt with professionally and in consultation. This was also evident at the handover when we weren’t happy with our final choice of pool pump and without any objection, Sean arranged for another pool pump he recommended to be delivered and came out and installed it personally. If I build another pool again, I would call Sean Lynch and MALIBU. Malibu Pools created our amazing pool last year with Karen Huttunen looking after us extremely well through the whole process, would highly recommend this company. Malibu Pools is the first company in QLD to offer free pool servicing with every pool built. Malibu offers clients a free 6 month pool service with every Malibu Pool. This complimentary service will allow you and your family to enjoy your new poolside lifestyle giving you peace of mind.